I am in love with this entire handcrafted jewelry line. Goldenink Collaborative is comprised of two Australian artists. Their pieces are handcrafted, painted and fired in their very own kiln. That feathery bangle and yellow pendant necklace just shot up to the top of my wishlist! 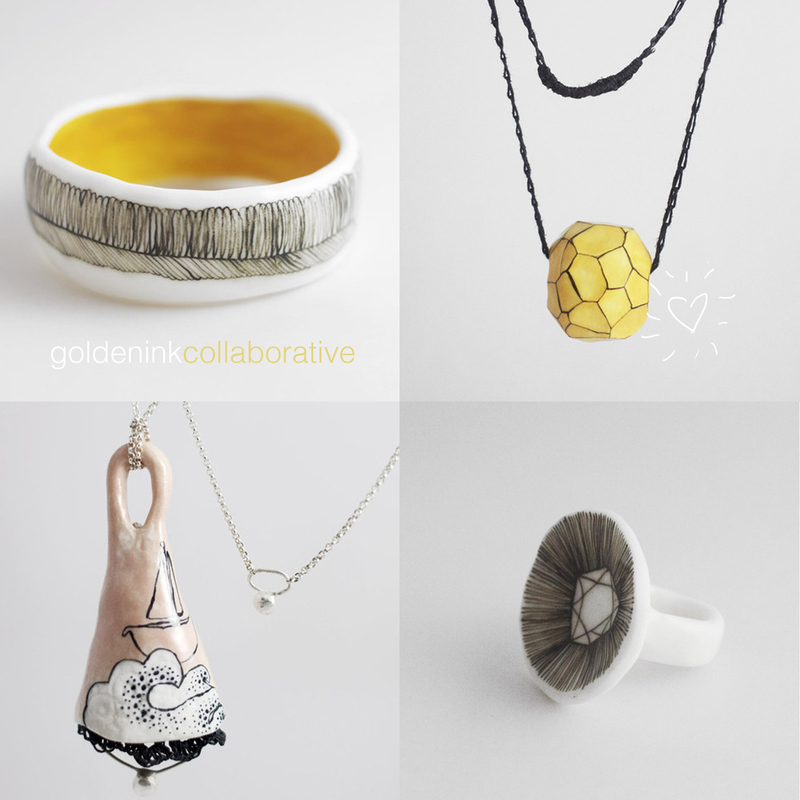 Check out more Goldenink Collaborative here! xoxo!